Wendy Lochner is the vice president of 2Teach, a national educational consulting firm specializing in co-teaching. She is formerly a school improvement and federal programs coordinator for the West Virginia Department of Education. She specializes in needs assessments, data analysis, and strategic planning, and has designed, developed, and published several software systems for co-teaching observation, lesson planning, Response to Intervention and Intervention Tracking, online student assessment, and data and outcomes management that are used statewide and nationally. 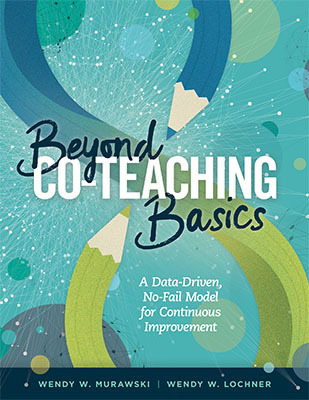 Lochner provides strategies, resources, and templates for administrators, principals, and co-teaching teams to ensure the best possible outcomes for students.